Are pastors allowed to struggle? It seems too often that those in ministry are expected to keep their struggles to themselves. Carly Simons’ well known song, Haven’t Got Time for The Pain could easily have been written for pastors who struggle to hide their pain behind the busyness of ministry and the expectations of others. Pastors and their wives often do not know where to turn for help and often fall prey to loneliness, depression or even addiction. 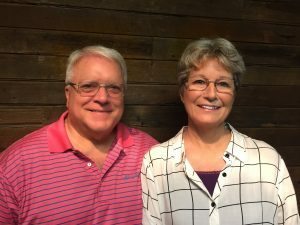 Pastor Bob and Joan Galasso tell an amazing story of how Jesus met them while both struggled with burnout and depression. It became so severe, they actually ended up hospitalized at the same time. It was there that God rescued them. Bob discovered that his identity was not in his work, and Joan reconciled years of buried pain and acknowledged her need for healing. You will be deeply encouraged by their story. Even if your pastor doesn’t seem to struggle with this, we know he will be encouraged as you share this story with him. Oh, and while you’re at it, tell him you love him and are praying for him. Thank him for his faithful ministry. That will go a long way in encouraging him. You can order Bob and Joan’s book, Leap of Faith here. About the book: For Bob Galasso, ministry was about a fast-paced, non-stop, burn-yourself-out lifestyle. A good minister never says no, right? After years of intense schedules and people pleasing, a dark depression fell over Bob Galasso replacing his once vibrant personality with angry words and brooding moods. His wife, Joan, also overwhelmed by an extreme desire to please, plunged into despair. Finally unable to function, Bob and Joan were hospitalized. How would they find their way out of this darkness? Could they trust God to do what they couldn’t do on their own? God prevailed and established a new beginning for this needy couple. You are welcomed into their journey as they learn: – To come out of man’s approval into God’s acceptance – That God delights in his children – The freedom of boundaries – The joy of being satisfied with God alone – To be melded together by the compelling grace and compassion of their Lord Warning! God may speak a life-change to you through this story. Are you ready? Next Next post: My Story of Overcoming Depression: A Faith Shaped in the Confines of Loneliness. You know that depression has been part of my life for 12 years. There have been many deep holes. It is very hard because I don’t know where it comes from. But thanks to friends like you, I am much better in dealing with it today. God bless you and Elaine.